Japan Display Inc. (JDI) is happy to announce the "XAQ-01 AQUARIUS", as a new interface, developed as part of the "Tsumugi series", to provide a new customer experience with sight and smell, as a 5 senses device that embodies JDI's vision. "XAQ-01 AQUARIUS" is the first part of a collaborative product group to be developed with Narumi, the famous high grade ceramics maker. 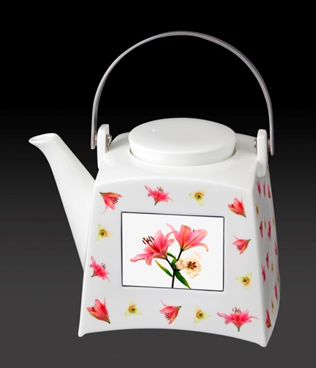 From the display, embedded in the ceramics, will flow a movie of a flower blossoming, and the space will be filled with an aroma in line with the movements of the flower. In the future as well, we will continue to push out to the world new attractive products, with technology from JDI and ceramics from Narumi.